I think by now, most of you are familiar with my love for facial oils. Whilst not new in the beauty industry, and once the main purview of the organic and natural skincare movement, it’s seen a renaissance in recent years, that’s had mainstream brands include an oil or two in their skincare ranges. Not a bad thing, I can assure you. All that said, I’d never quite pegged La Mer for being at the forefront of things. Sorry! They are a little traditional and stick very closely to their basics, so when I got wind of a facial oil coming out of La Mer, I was off like a shot to get the deets! I’ve been dipping my fingers (not literally!) 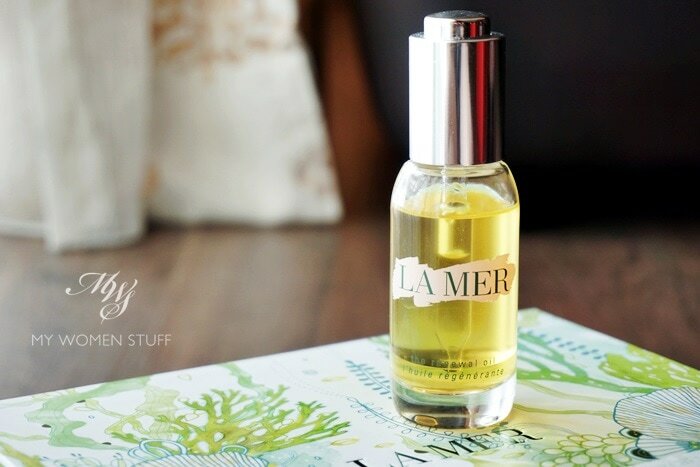 into the La Mer The Renewal Oil for the better part of a month, since the press launch (which you can watch in a video below, if you haven’t already seen it) which has given me time to figure out what I think about it, and how it’s fared for me. That said, my skin tolerates the other products in the La Mer skincare range quite well. A personal favourite that I recommend to anyone who asks, is The Treatment Lotion, which is fairly affordable by La Mer standards. I always have a back up! Another one I quite like, albeit not slavishly devoted to, is the Illuminating Eye Gel. And since I’m such a HUGE fan of facial oils, I was hoping The Renewal Oil would work for me! 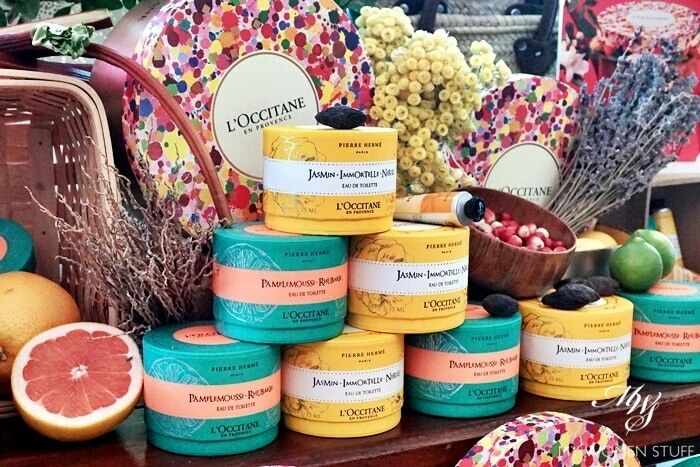 In the L’Occitane x Pierre Hermé Holiday Collection 2015 you can have the macaron maestro without the calories! As it turned out, I thought the combination of scents quite fascinating. Must be to do with that chef’s palate. I mean, who’d have thought to marry the bitter-citrus note of Pamplemousse (grapefruit) with the sour note of rhubarb?! Incidentally, I LOVE rhubarb, and don’t tell anyone, but after the press event, a few sticks of rhubarb went home with me in my bag and into a delicious crumble 😀 shhhh…..
You will doubtless have seen numerous blog posts or photos on Instagram of the absolutely breathtaking piece of art that is the Guerlain Meteorites Flocons Enchantes or in English, the Guerlain Enchanted Snowflake Meteorites. Guerlain truly outdid themselves this year, with one of the prettiest powders I ever did see. But despite the anticipation and social media-driven hype, I stayed away. For some reason, despite my Meteorites collecting habits, I couldn’t bring myself to drop almost RM300 on a tub. Prices sure have gone up since I started my collection. Instead, I picked up the Rouge G lipstick, which I happen to love. But as providence will have it, I was gifted with a tub of what is confusingly known as the Meteorites Flocons Enchantes or Enchanted Snowflake Meteorites or by some people, called the Perles des Neiges Meteorites. The former is what’s printed on the box. I’m not sure where some sources got the latter name from. I do have a bit of an axe to grind with Guerlain though. They call this the Enchanted Snowflake Meteorites, and in the press release, it says that it has snowflakes amidst the regular pearls. Yet, what they put in there were…. stars. Come on guys, aren’t those stars in there? 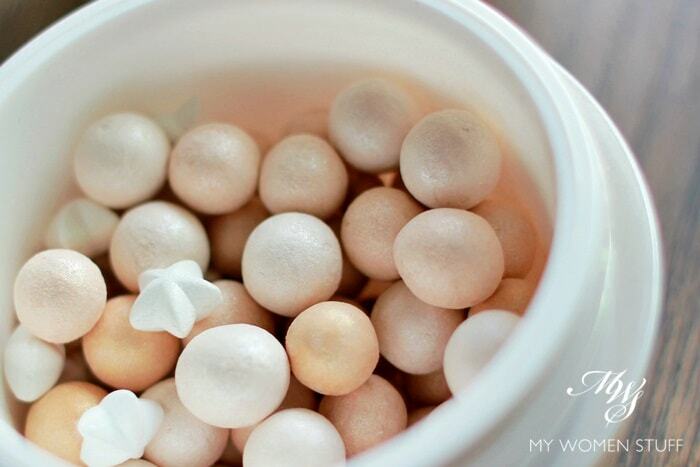 No one in their right mind would say “Ooh, snowflakes!” Instead, everyone and their aunty are going “Ooh, such pretty stars!” Note to Guerlain – work on your presentation LOL! Well, this one has been a while coming, for me. First, to get hold of it – it’s a staggering, jaw-dropping, wallet-emptying £85 a bottle. That’s sh*tload of money in any currency in the world, but much more so with the plummeting RM. Second, to figure out if this £85 was something my skin would take to. 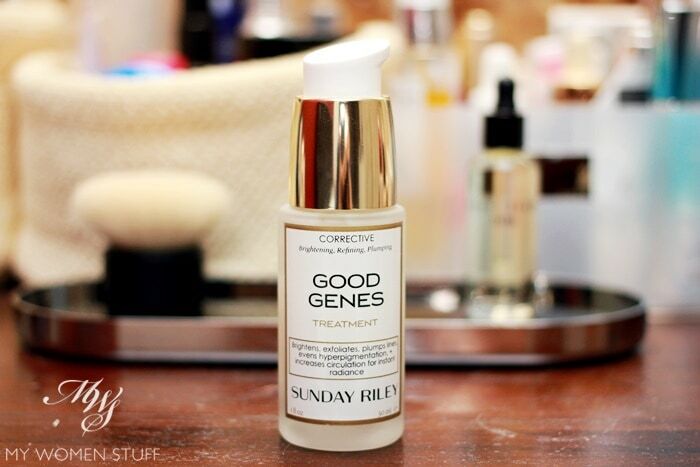 This, is the very popular cult product, Good Genes by Sunday Riley. Back? 🙂 Ok, I’d read a lot of wonderful things about Good Genes Treatment serum before this, but it wasn’t until I was told by my friend Geek, about how good it was for her, and read how well it works for Tine, that I finally capitulated. Nothing better than actually hearing from someone who has actually used it, and has no vested interests, you know. So one day, when I was feeling flush, I decided to bite the bullet and get a bottle. I bought mine from SpaceNK although you can also get it from Cult Beauty. Both are UK based websites that I shop at often, and have had good experiences with. So, what is this serum then? Good Genes is a bit of a multi-tasking product that is aimed at reducing signs of aging, while smoothing, refining, clarifying and brightening the skin while improving on skin thickness and elasticity. Its key ingredient is lactic acid (40%), and contains a load of actives that aren’t quite aimed at anyone with very sensitive skin. In fact, you are warned that you may even experience tingling on your skin when you use it. It is a chemical AHA-based exfoliant so I’m really not surprised. My friends tell me that this serum is one they can’t do without, and despite the prohibitive price tag, they have even bought replacements once they were done. It keeps their skin feeling and looking smooth, clear and good. In fact, I was told that the difference in NOT using it, is visible. I knew then, I HAD TO HAVE THIS! I’d live on bread and water for a few months, but I had to have this serum!